From delicate partial structure demolition to full structure teardowns, we can help. From planning your demolition to the stages of removal and cleanup, you can trust our team to safely manage your site with integrity. 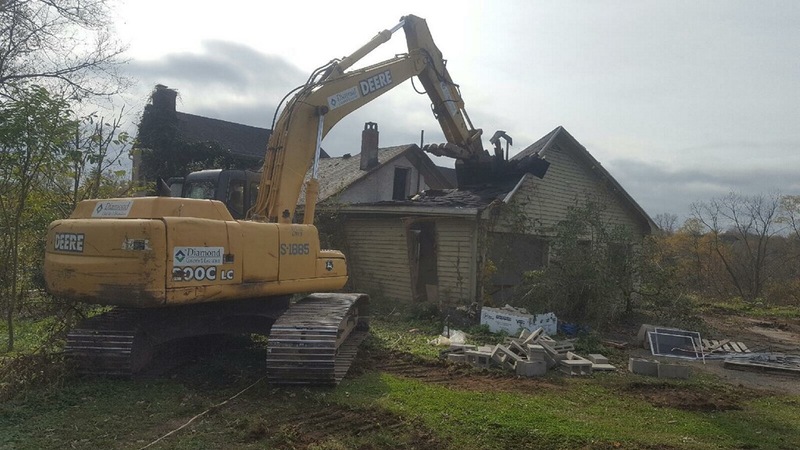 It’s important to us that we provide you with a smooth demolition while delivering on-time results. Whether clearing your land site or preparing your site for building and construction, our experts will work with you, making decisions that give you long-term peace of mind. There are times when the complete teardown of a facility is required, as opposed to a space-constrained partial demolition. Diamond Concrete and Excavation has the equipment and experienced management to do the job, safely and intelligently. Our tools remove facilities with little impact to the surrounding area. 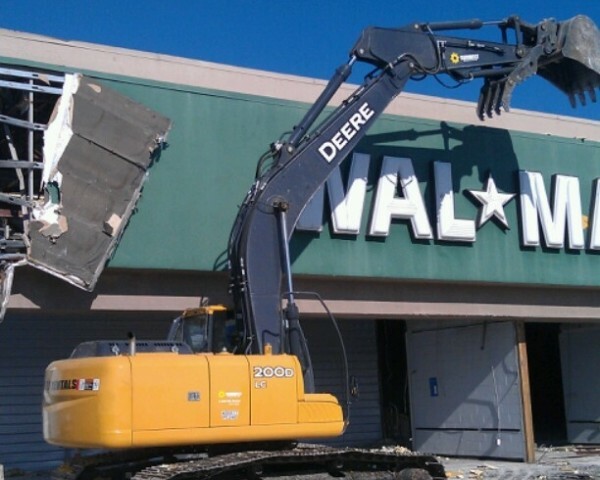 We’ve removed structures such as shopping centers, retail spaces, office buildings and warehouses. We’re committed to complete your job on time, within the allotted budget and with your best interest in mind. We use equipment that is more precise in it’s operation – no more wrecking balls. This precision demolition equipment allows us to delicately deconstruct a building so materials may be reused or recycled, helping your overall bottom line. Need site demolition? We can help. Fires are another driver for the need to tear down a commercial property. We have the experience and equipment needed to remove a fire damaged building quickly so you can get on with facility replacement, and get back up and running. 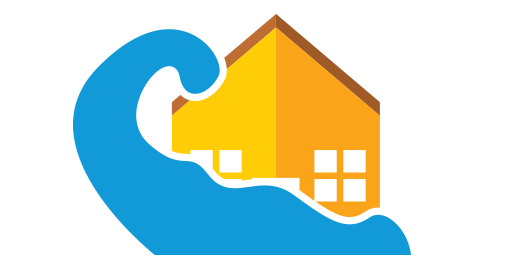 Facilities permanently damaged by flooding require special handling and know how. 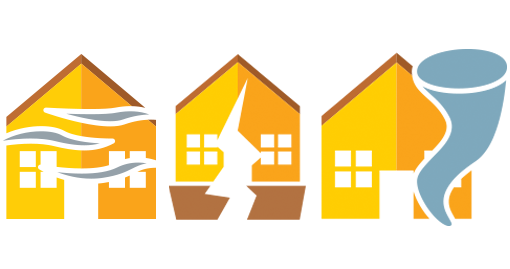 We can help remove the damaged building quickly, safely and on budget. Give Diamond Concrete and Excavation a call today at 937.310.3081 or complete the Request an Estimate Form to the right to get a FREE Estimate on your next Commercial Demolition project.